This past Saturday evening along the East River Esplanade, Vicki DaSilva created several light graffiti works. 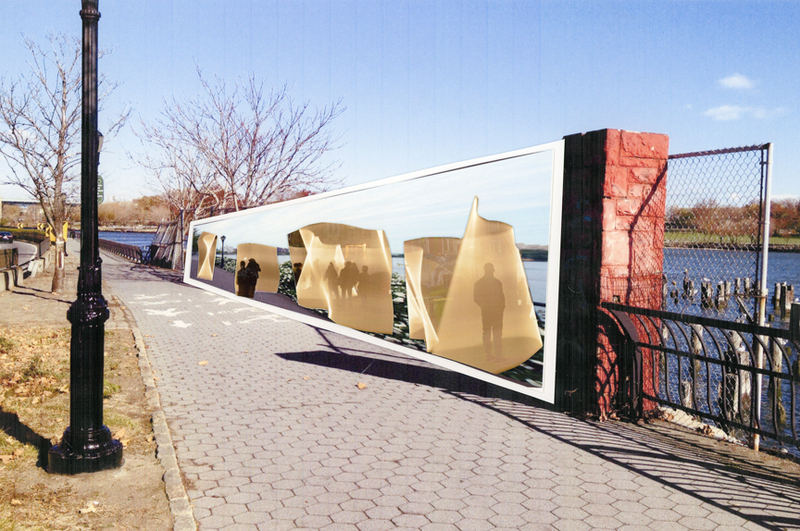 Commissioned by the Friends of the East River Esplanade and curated by Savona, the goal of the intervention was to bring attention to esplanade and the need for repairs that are necessary for the local residents. Most attention is placed further south, we showed our lovely the UES really is. And in early 2015, a mural banner will benefit its neighbor in East Harlem at 116th Street and the river. The mission of The Friends of the East River Esplanade is the restoration and reinvention of the section of the Esplanade from 60th to 120th Streets. We have been working with, and will continue to work with, our partner community groups, elected officials, and private enterprises, along with the NYC Department of Parks, to restore and maintain this section of our spectacular, though forlorn, Esplanade. Our goal is to improve and enhance the quality of the running paths, boating access, fishing piers and bike paths.